This gorgeous 2 bedroom PLUS den/office/bonus room LAKEFRONT home in the Venetian Golf & River Club is now available as an annual rental. 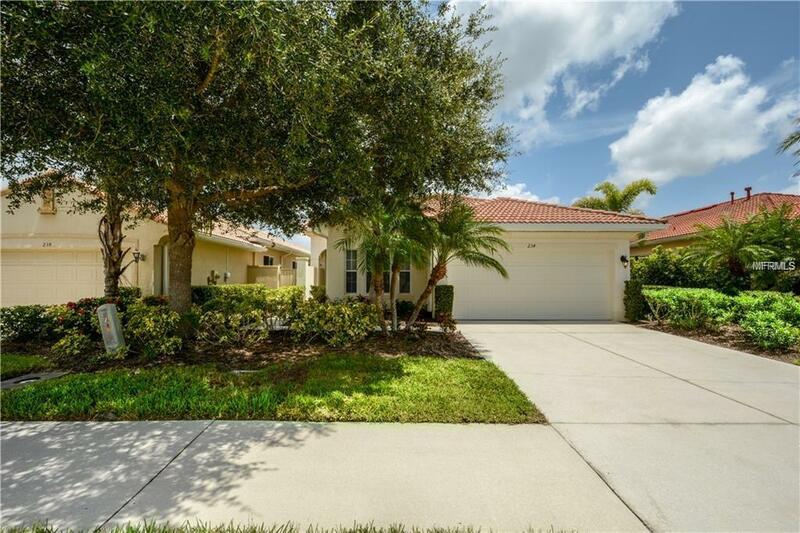 Featuring an open floor plan, inside laundry room, updated kitchen with granite counters, a gas stove and a pantry, all youll need to enjoy the water views from the master suite and extended lanai is your furniture. With impact windows, hurricane protection and a barrel tile roof, youll enjoy peace of mind year round. Residents in this neighborhood have access to the River Club, which has a heated resort pool and a lap pool, hot tub, tennis courts, fitness center, tiki bar, 2 dining rooms, and a 70 acre nature park with boardwalk along the Myakka River, all of which are included in rent, as is lawn care. Call today for your private showing!